Cross The Line opening line: He changed identity like many warriors do before battle. 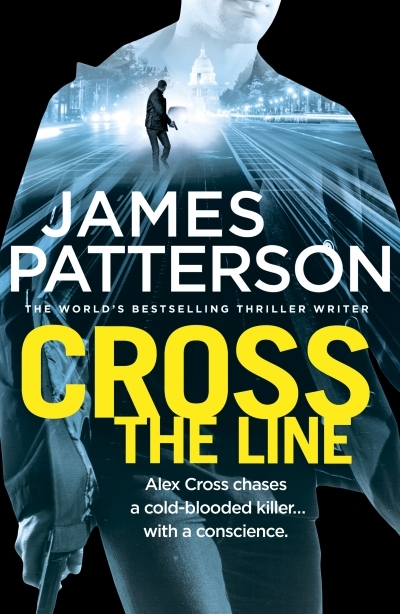 Alex Cross and his partner John Sampson are heading up the investigation of a murder. The Chief of Detectives and his girlfriend have been shot in what appears to be a revenge killing. No sooner has this investigation started than a mass murder takes place. Everyone involved in a drug manufacturing plant has been gunned down. What appears at first to be a drug war turns out to be an attack against corruption. But one man’s personal life threatens the anonymity of the group. Can Alex and his team solve the crime before more lives are threatened? Alex Cross chases a cold-blooded killer… with a conscience. I had been sent this book after Cross Kill which means the personal back story did not quite line up. Despite me knowing Bree would accept the position of Chief of Detectives and Nana Mama would win the lotto, the book still kept me gripped. Dave and I are overseas in Europe. We will be back at work on the 2nd of May. I will start replying to comments then. I won’t be able to read any blogs while we are away so please forgive my lack of visiting back. You can follow our trip by taking a look at our holiday blog.